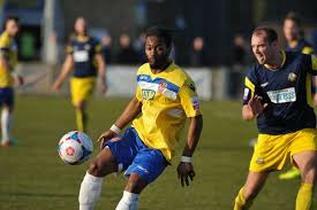 Margate Football Club has signed 25-year-old striker Jerson Dos Santos. Dos Santos started his career at Crystal Palace before featuring for AFC Wimbledon. After a brief spell at the Dons, Dos Santos moved to Iceland where he played for Bi Bolungarvik before returning to England where he has featured for Staines Town. The 25 year old has played six times for East Grinstead Town this season netting twice and now finds himself with an opportunity in the National League South with the Blues.